Jonah was angry due to the fact that God spared Assyria and they were being used as a rod of correction to punish Israel for her evil. Jonah wanted God to destroy Assyria and to spare his people, yet he says God is a gracious God and is merciful of great kindness. Jonah 4:3, "Therefore now, O LORD, take, I beseech thee, my life from me; for [it is] better for me to die than to live. Then said the LORD, Doest thou well to be angry?" Jonah wanted to die and the Lord questioned him as to his anger. Jonah 4:5, "So Jonah went out of the city, and sat on the east side of the city, and there made him a booth, and sat under it in the shadow, till he might see what would become of the city. And the LORD God prepared a gourd, and made [it] to come up over Jonah, that it might be a shadow over his head, to deliver him from his grief. So Jonah was exceeding glad of the gourd." Here we have Jonah waiting to see if the Lord will destroy the city, wishful thinking on his part. The Lord allowed a gourd plant to cover Jonah as to shade him from the fierce desert sun. Jonah 4:7, "But God prepared a worm when the morning rose the next day, and it smote the gourd that it withered. And it came to pass, when the sun did arise, that God prepared a vehement east wind; and the sun beat upon the head of Jonah, that he fainted, and wished in himself to die, and said, [It is] better for me to die than to live." Now the worm had withered the gourd and the desert sun beat upon Jonah's head and he wanted to die as he had failed to prevent the city from repenting and perishing. Jonah 4:9, "And God said to Jonah, Doest thou well to be angry for the gourd? And he said, I do well to be angry, [even] unto death. Then said the LORD, Thou hast had pity on the gourd, for the which thou hast not laboured, neither madest it grow; which came up in a night, and perished in a night. And should not I spare Nineveh, that great city, wherein are more than six-score thousand persons that cannot discern between their right hand and their left hand; and [also] much cattle?" Here the Lord asks Jonah what is more important, a plant, or the people of the city? The modern day ecologists and animal rights people are more worried about baby seals and trees than 9-month old children being born at abortion clinics and having their skulls cut open and having their brains sucked out in what is called partial birth abortion. 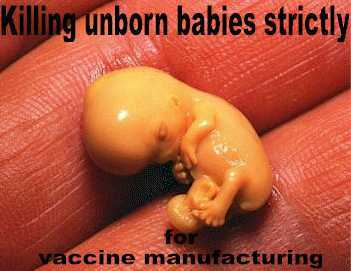 The body parts of the babies are being sold to all types of companies for everything from experimenting to facial injections. 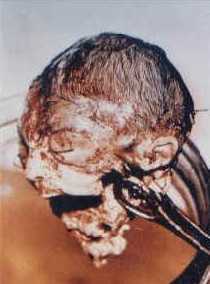 Unbeknownst to many people, even some children's vaccinations contain the remains of aborted fetuses. Experiments that would have made the Nazis proud are being done with the leftover parts of the aborted children here in the U.S.A. 74% of all New York babies are ABORTED!!! (and scientists are requesting the remains for transgenic experimentation). Few people realize that beauty salons are fueling the trade in aborted babies! There is a great demand for baby parts!!! 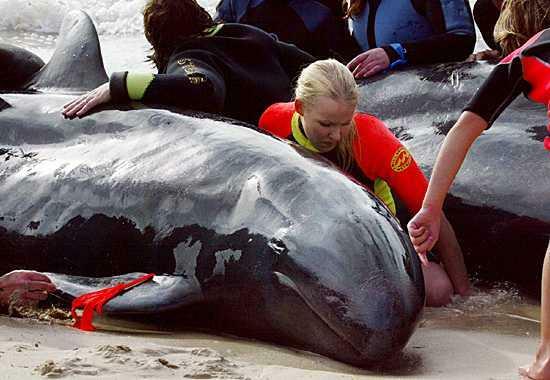 Animal rights people do not worry about the life of a little baby growing on the womb, and ecologists agree with Jonah that the plant is more important; yet, to God, the people are his concern. Woe unto America! 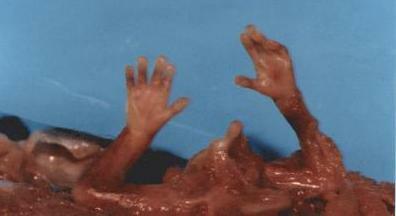 How much longer will God tolerate the murdering, selling, and Frankenstein experimentation of little babies? Repent and believe the Gospel. exercise sound judgment, especially in the important decisions of our lives. So, if you are pregnant, and want to get an abortion, you will be able to give any number of reasonable sounding explanations why this is the right decision. You're not ready to be a parent, or you need to finish your education or get to a better point in your career, or you don't have enough money, etc. If instead you want to keep the baby, you will explain how even though you will have some extra difficulties due to the lack of money or whatever, you will certainly be up to the challenge to make your life work with the baby, how being a parent will be good for you, what a great parent you'll make, how it will bring you and the father closer together, and so on. In either case, none of these will be the real reason for your decision. The real reason for your decision will always be, "I did it because I wanted to do it".